The new XC90 had both customers and reviewers fawning over its stunning new design at its launch in 2015. Already a huge success for Volvo in the very competitive premium 7 seat SUV market, the new model more than lives up to the reputation of its much celebrated predecessor. Built on an all-new platform and now longer than before – the already impressive interior space has been improved even further and this is especially evident in the back row of seats. The interior is now plusher and more luxurious than before and a new touchscreen infotainment system keeps it up to date in these tech-hungry times. 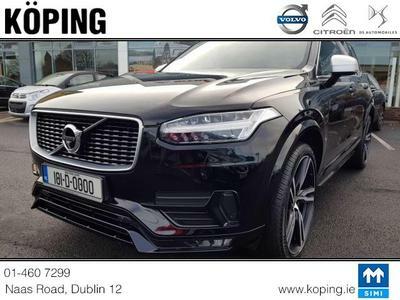 A more powerful, yet cleaner range of fuel efficient engines complete the package and make the XC90 a very attractive package for those lucky enough to have this kind of budget.